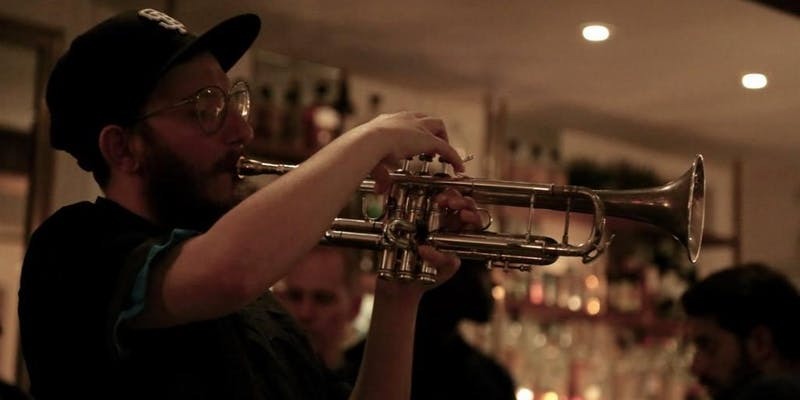 Noah Frank is an SF-based jazz trumpet player, composer, producer, engineer, DJ, and educator. He has performed at jazz clubs and festivals nationwide, including the PDX Jazz Festival in Portland, Herb Alpert’s Vibrato Jazz Club in LA, and Paris Bistro in Philly. Noah’s recording credits include Chance the Rapper, Saba Pivot, and Mr. Carmack. He splits his time between Brooklyn NYC and the SF Bay Area. 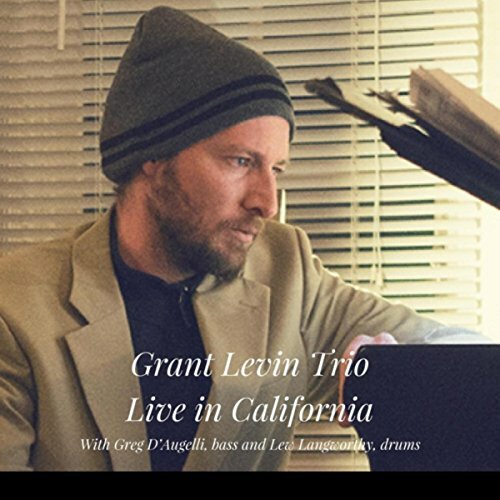 Grant Levin is a San Francisco-based contemporary pianist and composer who performs in various configurations from intimate settings to concert halls and festivals. His style showcases the piano as an infinitely dynamic instrument, allowing the listener to experience the sonic blend. Together, Noah and Grant will be exploring the jazz repertoire from the 1920s thru today, re-imagining songs from jazz greats like John Coltrane, Miles Davis, Wayne Shorter, Herbie Hancock, and many more. Tickets are $20 general admission. Advance tickets are available at the link below, or you may purchase your tickets at the door the night of the show. Doors open one half hour before show time. We accept cash only at the door (ATMs are nearby). Tagged as Grant Levin, Live Jazz, Noah Frank, Oakland, The Back Room. This coming week, Grant Levin will give it all at Black Cat. In 8 different shows during 8 days, you can enjoy his music performed with both local and stellar musicians visiting the Bay Area. 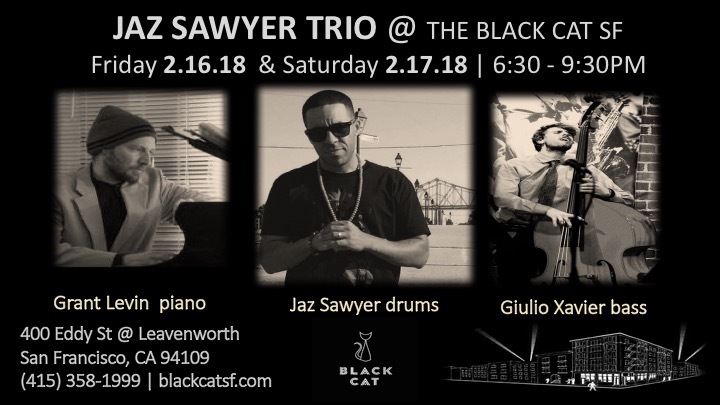 For the early birds, Grant Levin will be playing the early sets at Black Cat with Jaz Sawyer Trio this Friday and Saturday February 16 and 17 starting at 6:30pm. If you did not get a chance to enjoy the music of Ken Fowser Quintet last spring – now is the chance: they will be playing five nights in a row at the Black Cat San Francisco. From NYC, the hard-hitting Ken Fowser Quintet featuring trumpet impresario Josh Bruneau. 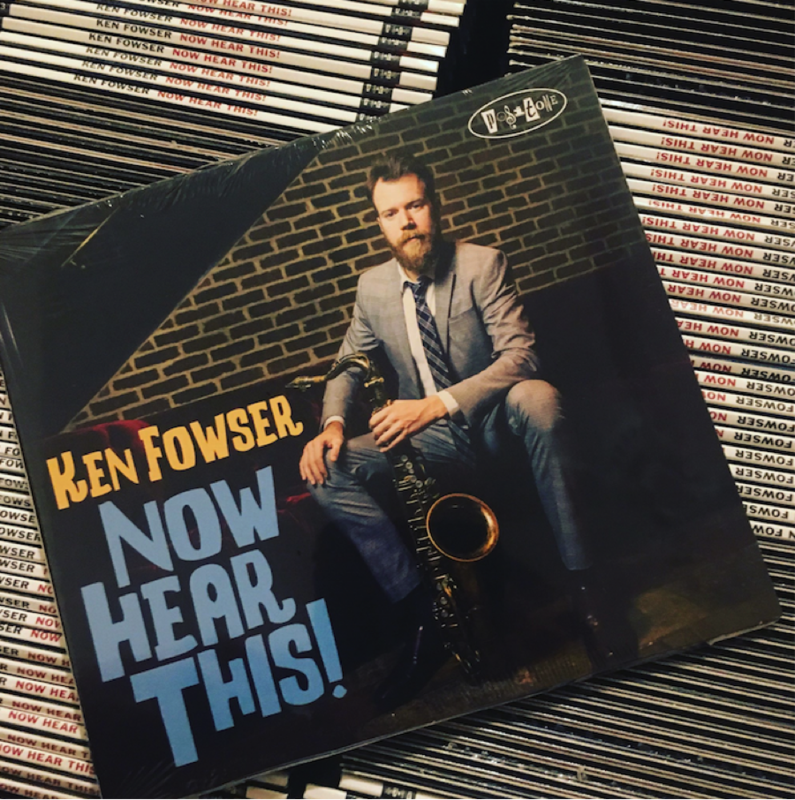 Debuting their new highly-acclaimed album “Now Hear This” (on Positone), Ken brings “hard bop fans a solid set of free wheeling jazz with a swagger…and with a polished sheen…that keeps your attention and swings mightily.” Audiophile Audition. 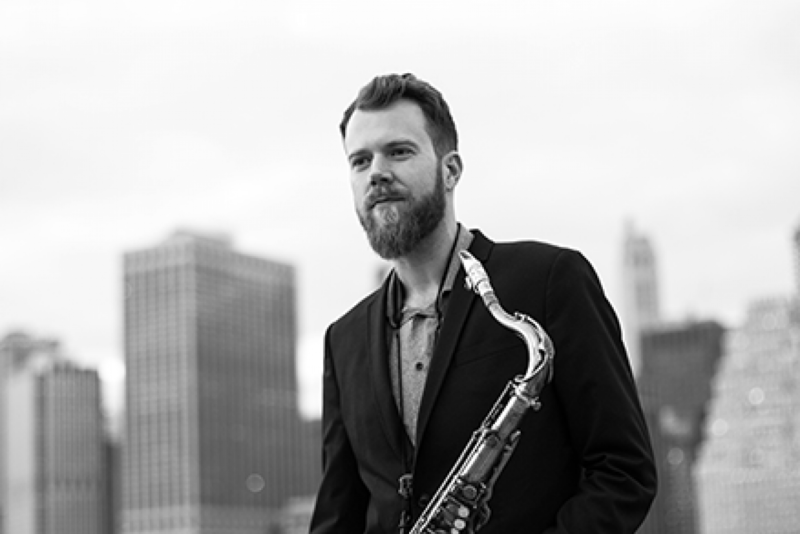 Regularly featured in the top NYC jazz venues, Ken is a rising star in the national jazz scene. 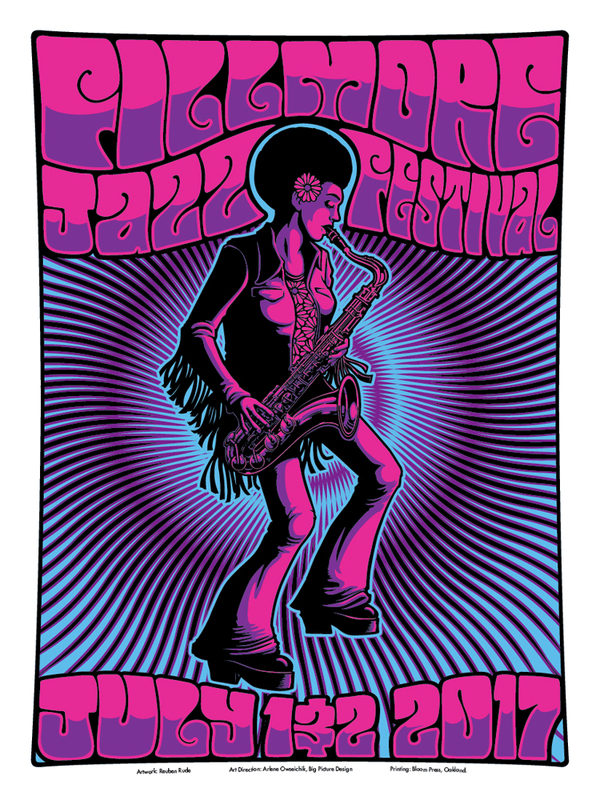 If you like jazz — if you like MUSIC — you don’t want to miss this group! See Itinerary for the full agenda 2018. Don’t miss when Grant Levin is playing with Noel Jewkes Quartet and special guest Kay Kostopoulos on the California Street Stage- Jazz Stage, July 2nd, 2017 at 12:30 – 2:00pm. Tagged as 2017, Fillmore Jazz Festival, Grant Levin, Kay Kostopoulos, Kay Kostopoulos on the California Street Stage, Noel Jewkes Quartet. Starting in June, Grant Levin will lead a concert series every second, third and fourth Sundays of each month. 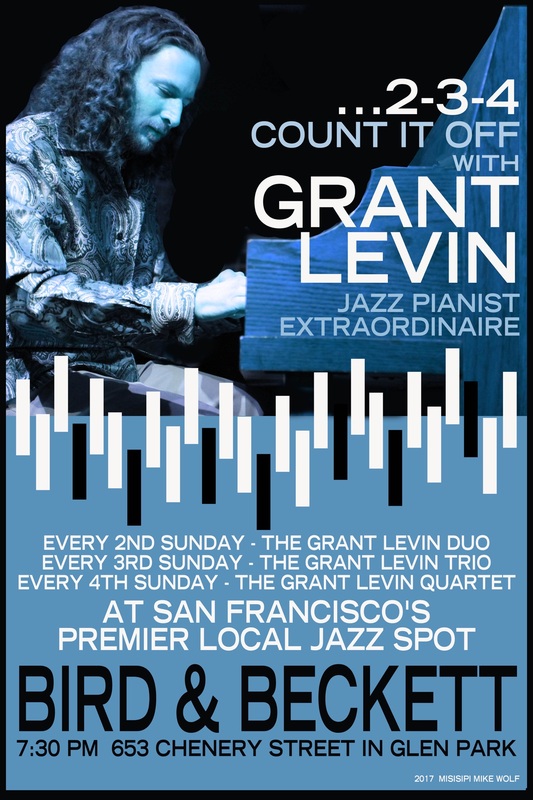 Local treasure Grant Levin, a jazz pianist of extraordinary range, sensitivity and swing, holds forth in duo, trio and quartet formats every 2nd, 3rd and 4th Sunday night. 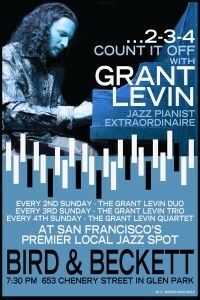 Tagged as Bird & Beckett Books & Records, Grant Levin, Grant Levin Jazz Trio, Jazz duo, jazz quartet, Live Jazz San Francisco. 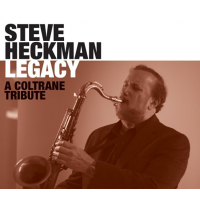 The week is here: hope you have already gotten tickets to SFJazz Center – Grant Levin will play in four of eight concerts in honor of the sax giant’s 80th birthday on April 24 and a four-night Joe Henderson Festival April 20-23 at SFJAZZ. See the itinerary for the show details. Enjoy! Tagged as Dayna Stephens, Grant Levin, Joe Henderson, Mad Duran, SF Jazz. Coming up next, at Blackcat Cafe in San Francisco, are four nights in a row when Grant Levin on piano is joining saxophonist Ken Fowser and Josh Bruneau on trumpet. Playing material from Ken Fowser’s latest record on Posi-tone, “Now Hear this”. The performances starts at 9.30pm downbeat. See the itinerary for more upcoming gigs. Tagged as Blackcat Cafe, Josh Bruneau, Ken Fowser Saxophonist, Live Jazz, live music, now hear this, San Francisco, trumpet.